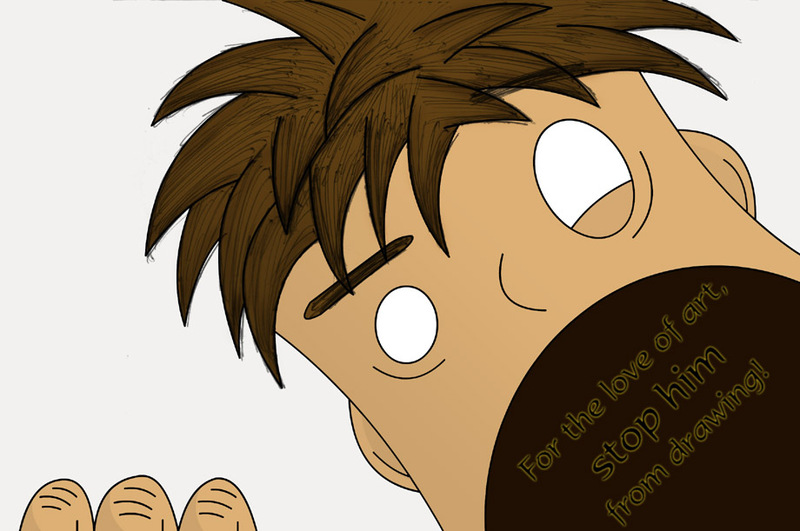 Artwork » Sketch » Stop him! Posted on: October 12, 2007	 Stop him! This is an old one. I drew this as a joke about halfway through my first sketchbook, and here it is again, now nicely vectorized. I don't know how to digitally create hair yet, so I decided to blend my sketch in. Shading is very simple, a combination of cel (see the fingers) and soft (see the hair). I was just trying to get it looking a little bit better, this piece is by no means intended to be high-quality. Made with paper, pen, Macromedia MX, and Photoshop.